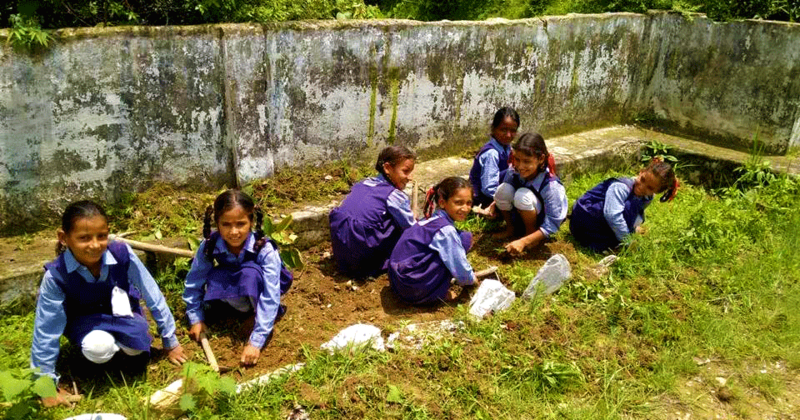 School to School builds a relationship of empathy and dignity between urban and rural children, on two opposite sides of a big divide of resources and opportunities. Urban children learn to value their abundant resources as they become more aware about another India. Rural children learn about achievement as Goonj’s school material brings together all stakeholders; teachers, parents and village community. Inculcate volunteerism and mindful giving practices. Nurture empathy by encouraging urban schools to make it a part of their curriculum. Emphasize achievement instead of charity. Nudge positive behavioral practices around hygiene, attendance and social issues. Fulfill basic education material needs. Involve all rural stakeholders; school management, teachers, parents and entire village community in solving local school issues. 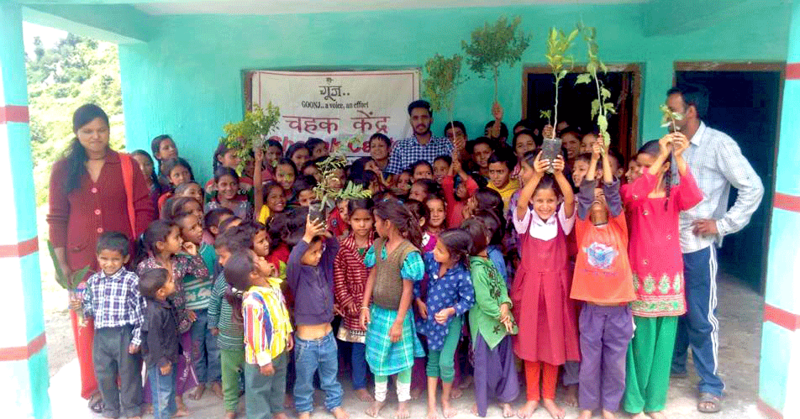 Urban Kids learn to value their resources and empathy with issues of rural kids. 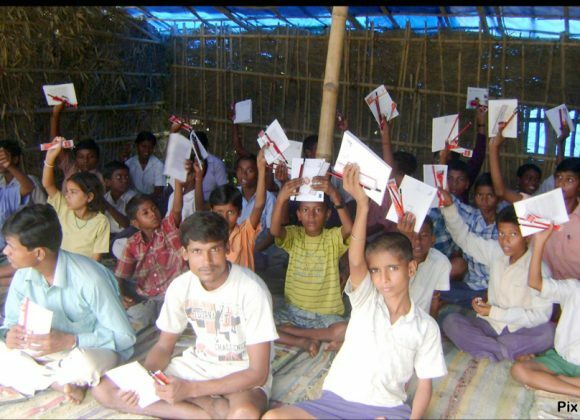 School material Kits motivate rural school children to continue their education. 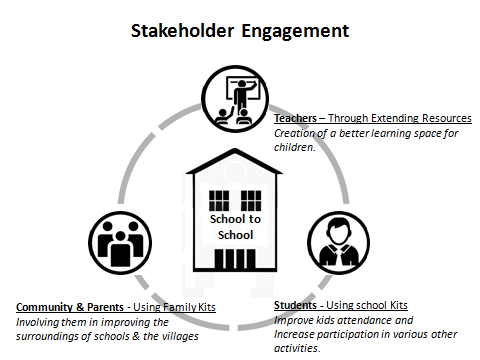 Parents, teachers and entire school community gets deeply engaged in improving urban and rural school environments. There is an enormous inequality in access to quality education in India, resulting in massive inequality of opportunity for children in the villages. 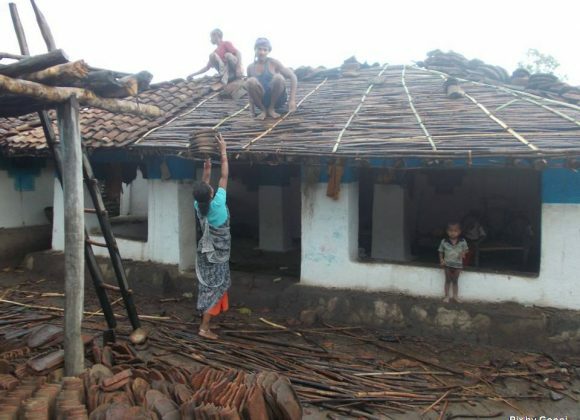 There are many unmet basic learning material needs in small village schools. Urban school children on the other hand buy and discard a lot of learning material regularly. They know little about valuing their abundant resources or the environmental risks of their practices. Most importantly as future citizens of our country city children have little awareness and empathy about rural issues and rural education. In urban schools, Goonj actively works with school children by engaging them in exposure visits, awareness sessions and collection drives through volunteers and school partners. Goonj creates School kits from urban surplus. 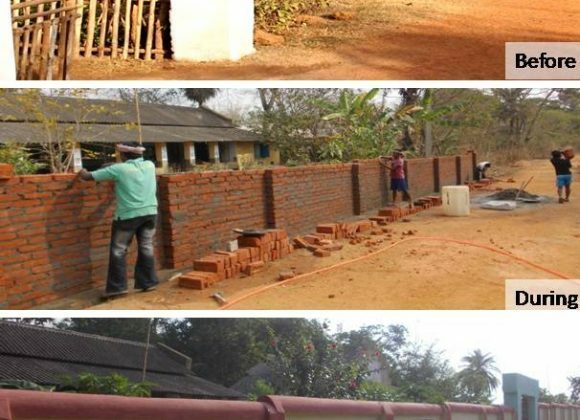 These are used in rural schools, to encourage and motivate schools, parents and children tocollectively work towards creating a supportive environment for accessible education by building schools, making boundaries, kitchen garden, playground etc and their efforts are rewarded with school materials and basic essential fulfilling familial needs. Pratibimb is an opportunity for the urban students to learn and know about rural India, not from books but through human interaction.It’s a platform for students to come together, interact and learn from each other.An event organized by Goonj.. for 2 – 3 days, where Goonj.. facilitates inter learning between the city and village students as well as intra learning amongst the city students from various backgrounds, through some well designed activities. Nothing compares to learning from hands-on experience. Students and teachers will travel to Goonj’s area of implementation to witness how developmental works are carried out using local resource and wisdom. This visit will be guided by Goonj.. along with its visit partner Empathy connect. Pack your under utlised school material (remember – it needs to be useful for someone) for someone who needs it more than you. Connect us to schools in your locality for long term partnership/ introduce S2S in schools. 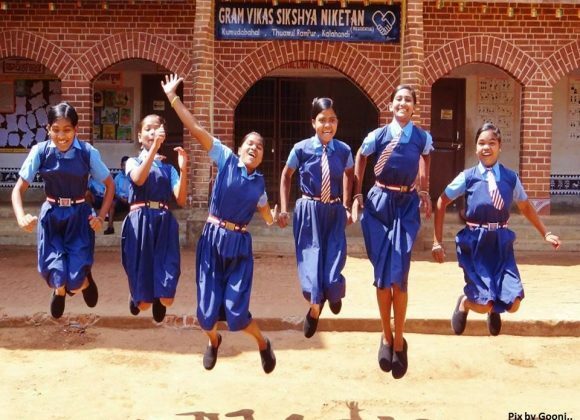 Organise/conduct school material focussed collection drive in corporate, society, schools, institutions to meet the growing needs of basic school materials in rural schools. Sponsor a handmade ‘School Kit’ that is made out of colorful array of waste material, but has all the essential items like a school bag, bottle cover, pencil pouch etc.. that travels with children in the villages like their special companions.. Click here Connect Urban & Rural Schools to sponsor these school kits.